Join us for our Capital Region Cocktail Party honoring Delaware North, as well as State Parks Commissioner Rose Harvey and Governor Cuomo’s NY Parks 2020 Plan. We're celebrating our champions in Congress who are committed to protecting New York's clean water. Join us and Congressman Paul Tonko at Albany Pump Station for a free beer and raise your glass to clean water! This Blueprint for a Greener Capital Region provides specific actions government officials can take to fight climate change, conserve our lands and waters, and protect public health. Elected officials from across the region will join us as special guest speakers. 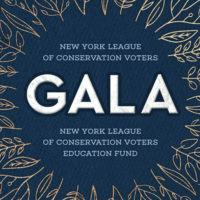 NYS Department of Environmental Conservation Commissioner Basil Seggos will keynote the event.